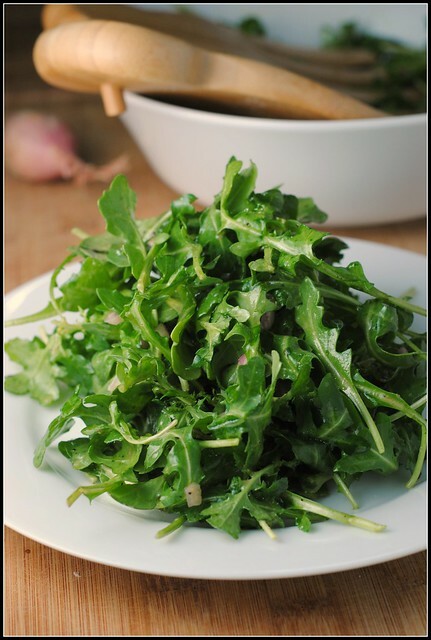 Arugula Salad with Ultimate Vinaigrette + Happy Registered Dietitian Day! The theme for this year’s National Nutrition Month is “Eat right, your way, every day!” I was actually on the radio last weekend talking about what this theme means and why I love it so much. Not that past years’ themes haven’t been excellent, but this is most definitely my favorite theme to date. I cautiously use the term “healthy”. Yet, it’s a commonplace adjective used to describe so much in our modern day language (and the word even appears in my cookbook title, which changed, by the way – “A Delicious Balance: 100 Everyday Recipes for A Healthy Diet.”) The point to consider is that what is healthy for you may not be healthy for the next person, and vice versa. Nutrition is an evolving science that has come a long way and without a doubt, will continue to grow and emerge as a respected science and medical practice. It’s important to understand that proper nutrition is dependent upon so much — weight, activity, disease, labs, medications, age, ethnicity, and much, much more. Finding out what is right for YOU is the best road to a healthy you. Everyone’s needs are different…so the way people eat will vary. Ex: Is it better to eat 6 snacks or 3 meals a day? Is it bad to eat after 7pm? An RD is the perfect person to help people develop appropriate goals for individuals that aim to meet their personal needs. This theme also aims to dispel so many myths surrounding health and nutrition, and nutrition and disease. We all know that there are far too many myths out there and as hard as it may be to believe, I hear new ones ALL the time. Just when I thought I’d heard it all…there’s always something else. The National Nutrition Month theme aims to approach nutrition in a manageable, enjoyable, and personalized way that can lend to permanent changes and subsequently, healthier eating. 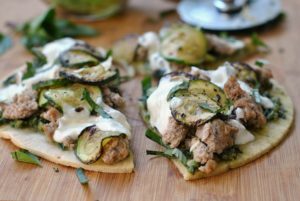 Encouraging personalized healthy eating styles is critical for permanent changes. Food preferences and allergies, lifestyle, cultural and ethnic traditions all impact individual food choices — these choices will impact how you eat, your way. Nutrition should fit your lifestyle, not the other way around. March is the perfect time of year to be reminded to eat right EVERY day…not just in the few weeks following the new year! Nutrition is a science and in order to help someone with the appropriate diet, it’s important to assess medications, lab work, family history, etc. For something to change, you have to change. The same actions will always yield the same results. Try something new! Nutritious should be delicious…and not just because it rhymes! 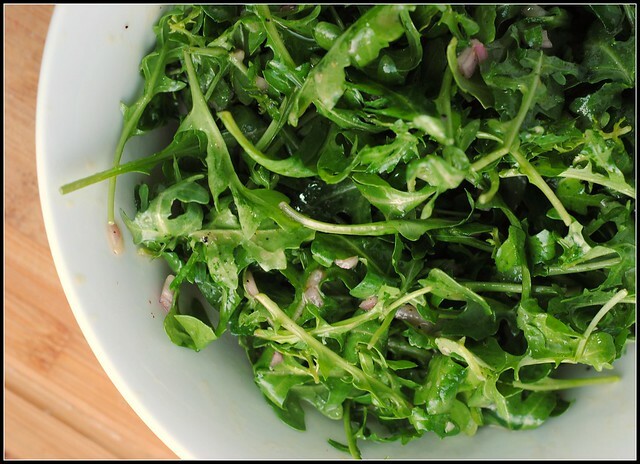 On that note, I promise you…this arugula salad is one great way to celebrate nutrition. SO, SO good…you’ll be amazed. Combine the shallot, mustard, vinegar, oil, sugar, honey and salt and pepper in a bowl and whisk to combine. 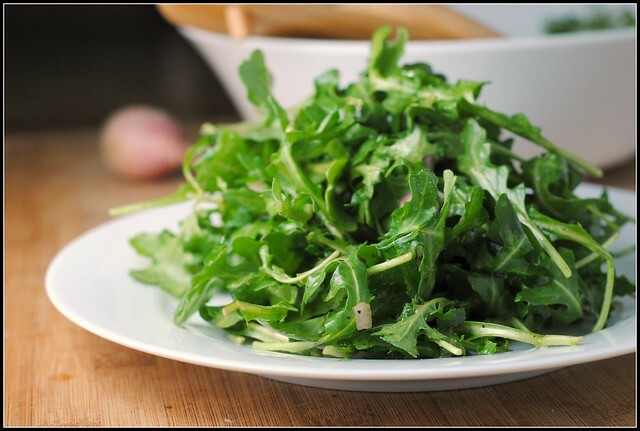 Toss arugula with vinaigrette to distribute. Serve within 1 hour. Work, boot camp, and a date with Twilight Breaking Dawn Part 2 🙂 So lame, so wonderful! Happy RD Day, fellow RD’s!! great post Nicole! and happy RD day 🙂 thanks for inspiring me daily! Happy RD Day! This salad looks really good. 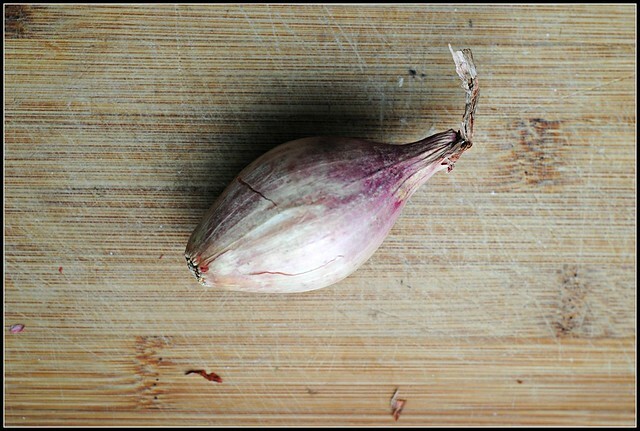 I lovee Dijon vinaigrette, and it’s incredible how much flavor a shallot can add! Lovely photos. And happy RD day to you! Happy RD day to you!! Happy RD Day to you to, Nicole!!! I’m going to NEED to make this dressing! I’ve been on a really big kick of making my own dressings! Its so fun, and I love shaking them up in a mason jar! Happy RD Day to a fellow RD! How do you feel about the new RDN option?? 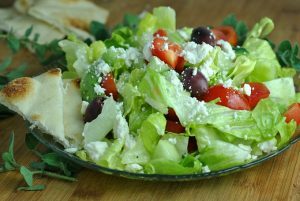 This salad looks so refreshing!! I love arugula! Hi! I make this dressing ALL the time. SO yummy. Only difference is that I put the shallots in a pan on the stovetop for a bit to make them not as raw-tasting. Do you know if this dressing will keep in the fridge? The “serve with one hour” comment makes me think no.